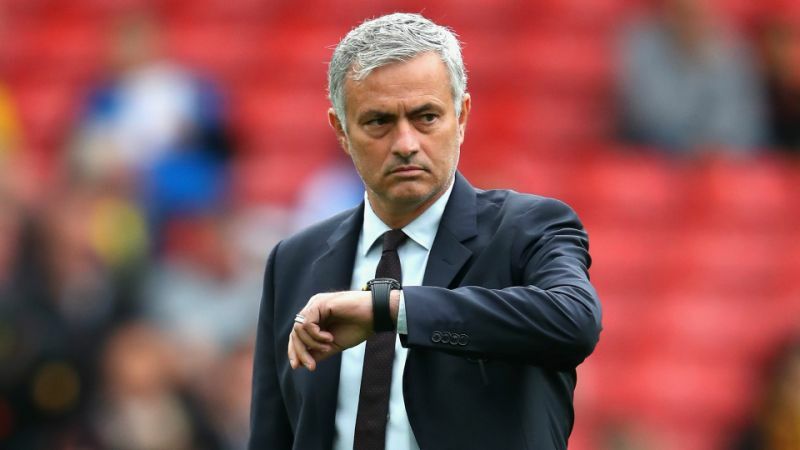 Jose Mourinho hit out at Manchester United’s in-house MUTV channel, refusing to reveal information about the extent of his team’s injury crisis ahead of Wednesday’s premier league visit of Arsenal. The United Boss is dealing with a defensive crisis and took exception to be questioned on his stretched resources. Mourinho, who is under huge pressure at Old Trafford following a poor start to the season, reacted abruptly during the interview. ‘I don’t want to update you, I would like Arsenal TV to ask the same questions but they don’t, they hide everything from the inside, so why should I answer to you,’ he said. ‘We are going to be in difficulty again to build the team. We are again going to have to make adaptations and compensations to try to give some balance to the team. With the clash with high-flying Gunners coming, there are a number of injury concerns for Mourinho, particularly at the back. Victor Lindelof, Chris Smalling, Eric Bailly, and Matteo Darmian all missed Saturday’s draw against Southampton. Luke Shaw was forced off after suffering a knock, with Phil Jones, Marcus Rashford and Romelu Lukaku also picking up injuries at St Mary’s and Ashley Young suspended for Arsenal’s visit. Mourinho is clearly frustrated by his lack of options in addition to the inconsistent recent performances as speculation over his job continues to strengthen. His United team sit seventh in the Premier League, eight points behind Unai Emery’s fourth-placed side who are particularly fresh from their 4-2 win over Tottenham in the North London derby. The gap means United would need to beat Arsenal to at least close the gap on their Top Four rivals.